INDUSTRY.co.id - Jakarta - A total of 1,000 employees of Alexis Hotel are threatened with being terminated after the renewal of the TDUP signing of Hotel Alexis and Griya Massage Alexis as of October 27, 2017. The 1000 employees consist of 600 permanent employees and 400 casual employees. Management hotel also has not determined how the fate of its employees. They claim to still focus on making Hotel Alexis back to operate in advance. "Because we respect the decision of the PTSP Service so we do the operational stop so no one works," said Legal Corporate Hotel Alexis Lina Novita, during a press conference at Hotel Alexis, Tuesday (31/10/2017). She said that until now in Hotel and Griya Massage has never found violations of any kind, whether in the form of drug trafficking or immoral cases. However, the Alexis admitted ready to cooperate with the Provincial Government of DKI. They also support every policy of DKI Jakarta Governor Anies Baswedan. "We are trying to understand the policies of DKI Jakarta at this time and we are ready to cooperate with the Government of DKI Jakarta to support every policy of the Governor of DKI," she said. They affirm their business in tourism and licensing has been done in accordance with the provisions. 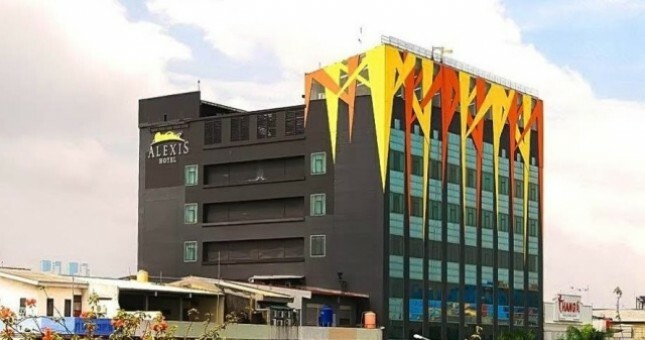 "Hotel and griya massage Alexis is a business engaged in tourism, where everything related to licensing and operations have been carried out in accordance with the provisions of applicable regulations," she added.